During the meeting, Iranian Deputy Foreign Minister for Political Affairs Seyyed Abbas Araqchi and his Kazakh counterpart Mukhtar Tileuberdi exchanged views on the latest developments in bilateral relations in the political and economic spheres. Regional and international issues, in particular issues related to the Caspian Sea and the relevant convention, as well as the latest developments in Afghanistan and Syria, were also discussed by the parties. The Kazakh official once again expressed his country’s support for the Iran nuclear deal and underscored the Central Asian state’s interest in expanding bilateral economic cooperation. Referring to the transit capacities of the Islamic Republic of Iran, Tileuberdi called for accelerated use of this capacity in expansion of commercial and economic ties between the two countries. In turn, Araqchi touched upon the willingness of the Islamic Republic of Iran to expand relations with Kazakhstan in all fields. He condemned the unlawful policies of the United States such as its withdrawal from the JCPOA, the relocation of the Israeli capital to Jerusalem al-Quds, the recognition of Zionists’ “sovereignty” over the Golan Heights, and the blacklisting of the Islamic Revolution Guards Corps (IRGC) as a terrorist group, saying that these actions are in contradiction to all international rules and conventions, and the US is responsible for any possible consequences of its policies. 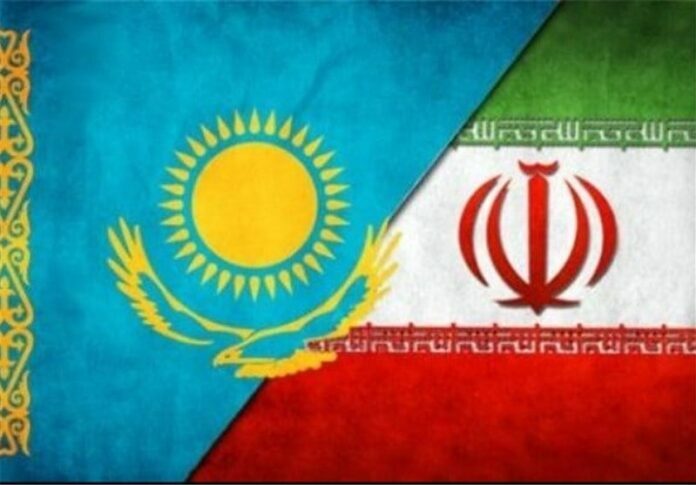 During the talks, the two sides also expressed their readiness to hold a new round of Iran-Kazakhstan Joint Economic Commission and finalise legal and consular agreements between the two countries.